A few of the many brands we service. 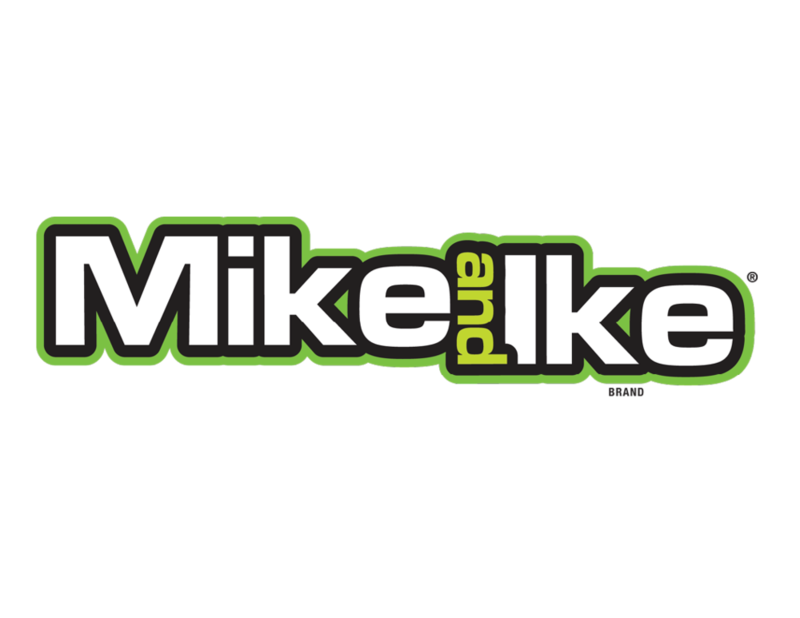 Our partners visiting this page can log in at the bottom with details we supplied them to view specific details and catalogs. Abba-Zaba - Chewy taffy bar with a creamy peanut butter center. Big Hunk - Chewy, honey-sweetened nougat bar with whole roasted peanuts. Look! - Chewy nougat bar with whole roasted peanuts coated in chocolate. Rocky Road - Handmade marshmallow, coated with milk chocolate sprinkled with roasted cashew nuts. For over 30 years, Badia has brought to market the best ingredients from all corners of the world, making it a favorite among every type of cook, from newbies to foodies. Rich in flavor, aroma and color, our products are as appealing in taste as they are in value. We started in Brooklyn over 40 years ago making just one product, pocket Pita Bread. Today we're mixing traditional Old World recipes with 21st century flavors to bring you Baked in Brooklyn Pita Chips, Flatbread Crisps, and Sticks. Our mission is to bake the absolutely best tasting snacks using only the finest quality ingredients. Baked in Brooklyn snacks are big on flavor and wholesome with no trans fats, no cholesterol and no preservatives. Butterscotch Smoothie Peanut Butter Cups - A butterscotch candy unlike any other butterscotch candy! Smoothie cups feature a butterscotch coating over a crunchy peanut butter center. Dark Mallo Cups - Take everything you love about the classic Mallo Cup but combine it with the delectable flavor of dark chocolate. Mallo Cups - Delicious combination of rich milk chocolate and a creamy mallo center that is sure to satisfy even the biggest sweet tooth. 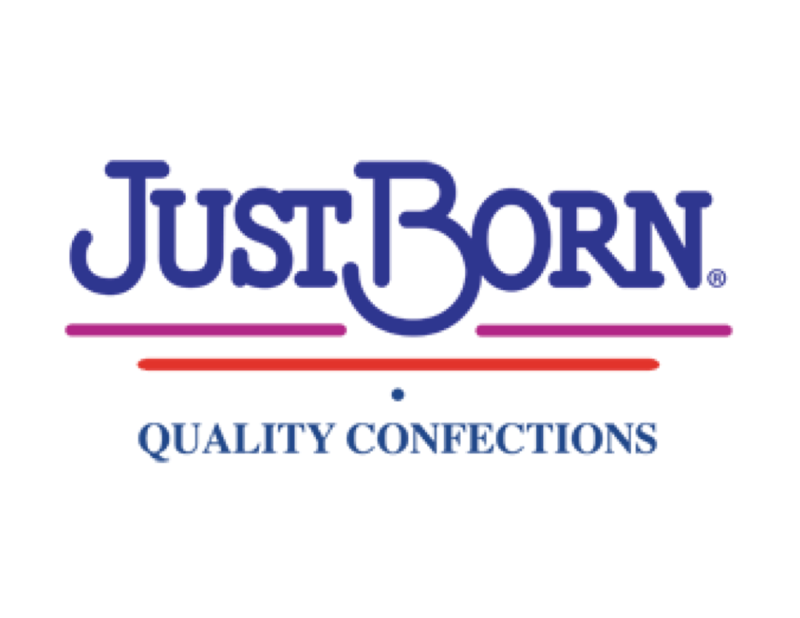 This American made candy is favored among candy lovers around the world, and was the very first cup candy made in the US. Milk Chocolate Peanut Butter Cups - Combines delicious creamy peanut butter with rich milk chocolate to create a delicious flavor explosion that is sure to satisfy. Campbell's Condensed Soups - From Chicken Noodle to Tomato and everything in between. 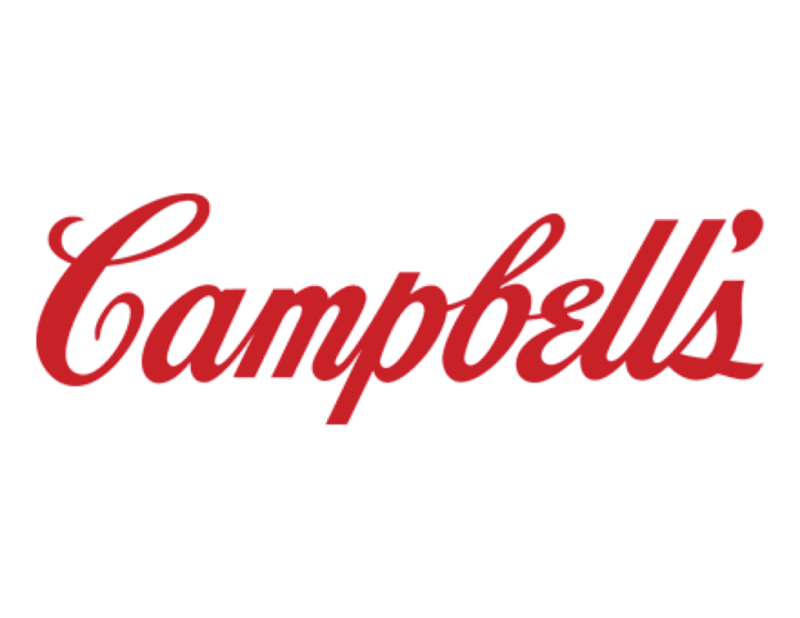 Campbell's make delicious soups in flavors you know and love. Whether Campbell's Condensed Soups are your secret ingredient or you want to simmer down with the perfect bowl, we have a soup for everyday that everyone can enjoy. Goldfish Crackers - With many exciting flavors, Goldfish crackers have garnered an iconic reputation with kids and adults. The only snack that smiles back. Pace Salsa - Heat up with the bold flavors of our salsas, dips, and sauces. Pepperidge Farm Cookies - A collection of American cookies baked with an abundance of rich, chocolate chunks, these delicious originals satisfy your most decadent cookie cravings. 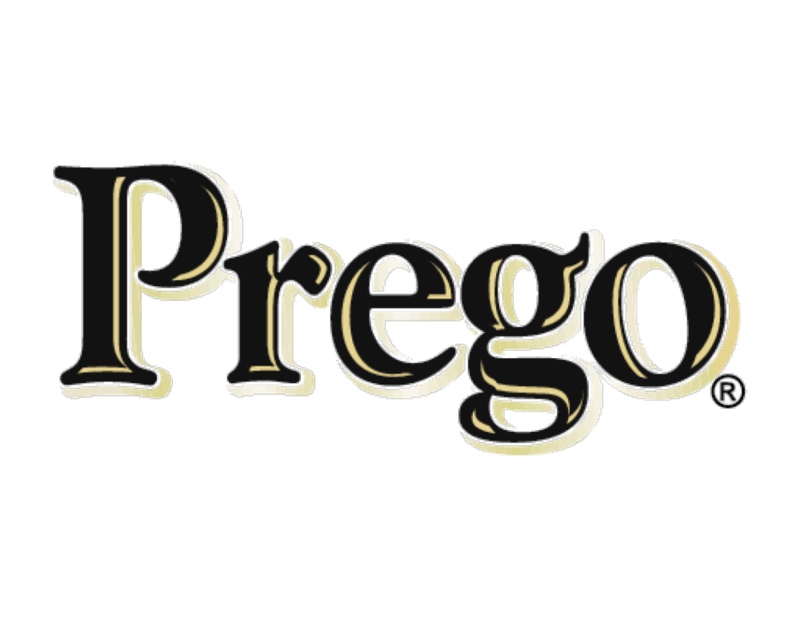 Prego Sauce - Inspired by your favorite restaurant menus, these bold flavors will spice up your pasta night. Swanson Broths- Made from high quality ingredients, each Swanson product contains a unique balance of flavor to develop and enhance any dish you create. Original Magic Seasoning Blends - Chef Paul's original seven blends - Poultry Magic, Blackened Redfish Magic, Pork & Veal Magic, Seafood Magic, Vegetable Magic, Meat magic, and Blackened Steak Magic -- were introduced in 1983 and are relied on by home cooks and professional chefs worldwide for their quality, consistency and distinct flavor profiles. They're as easy to cook with as salt or pepper. Magic Seasoning Salt - Chef Paul's blend of unique seasonings is perfect for sprinkling on fries, salads, eggs or pasta; for shaking flavor on vegetables, chicken, seafood, steaks, chops or roasts. Use at the table in place of salt and pepper. ACT II Popcorn - When looking for a warm, wholesome snack that's fun to share with your family and friends, pop up some fun with ACT II microwave popcorn. With so many delicious flavors, we've got popcorn to please any taste bud. Gulden's Mustard - Made from a blend of premium imported seeds and spices, Gulden's Mustard are perfect on hot dogs and sandwiches, or in your favorite recipe. With Spicy Brown, Yellow Mustard and Zesty Honey Mustard, Gulden's has a flavor to dress up every meal. Hunt's Tomato Products - Bring great taste and simple tomato goodness to your table with 100% natural Hunt's tomatoes, ketchup, and pasta sauces. Made with the finest-quality California tomatoes -- vine ripened and picked at the peak of freshness -- Hunt's delivers wholesome ingredients with no preservatives. 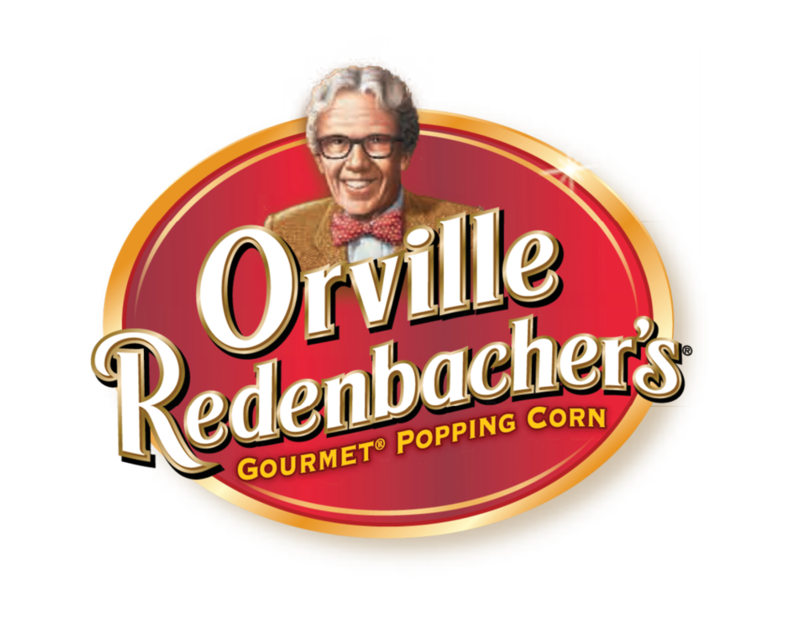 Orville Redenbacher Popcorn - The name Orville Redenbacher is synonymous with great-tasting popcorn. Always with zero trans fat per serving, Orville Redenbacher's popcorn is a healthful snack you'll want to share with your whole family. No matter which flavor you choose, in every bag you'll always find the same light, fluffy kernels that Orville Redenbacher dedicated his life to perfecting more than 40 years ago. PAM Cooking Sprays - PAM uses a unique blend of oils in its nonstick coking spray, and this makes all types of cooking, baking, and even grilling -- just plain easier. 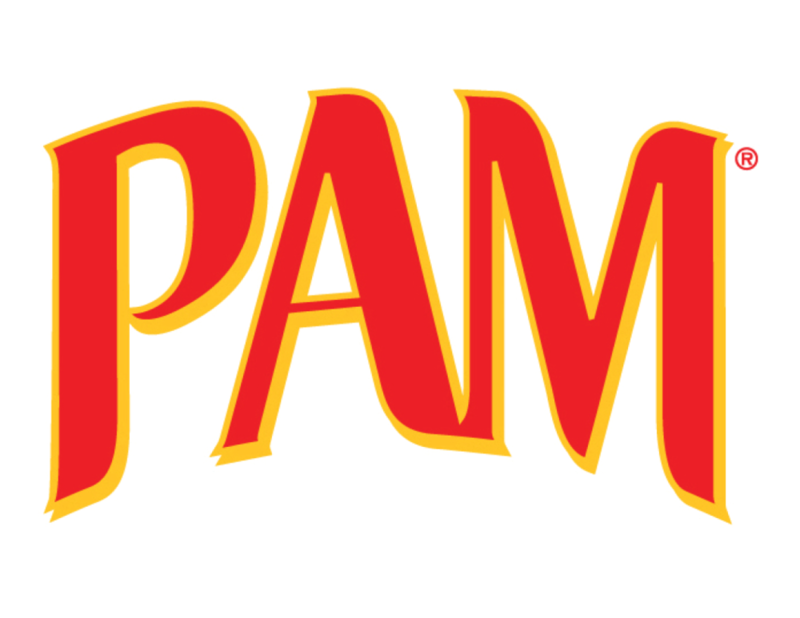 PAM comes in eight specially made varieties to help you with everything from browning a turkey to preparing a perfect grilled cheese sandwich. With its great no-stick and virtually no-residue performance, PAM is also perfect for use on your skillets, baking pans, cookie sheets, spatulas or mixing bowls for extra-easy cleanup. Peter Pan Peanut Butter - There's just something magical about the wholesome, classic taste of Peter Pan Peanut Butter that kids never outgrow. Children and grown-ups of all ages love its pure, delicious taste and fun, childlike spirit. Peter Pan Peanut Butter offers plenty of flavors and varieties for creamy - and crunchy-lovers alike. Swiss Miss Hot Cocoa Mix - Swiss Miss drinks are made with real fresh dairy milk from local farms. The milk is delivered daily, dried and blended with premium imported cocoa. Wesson Oils - Wesson cooking oils are the secret ingredient to preparing delicious, great meals that your family will love. 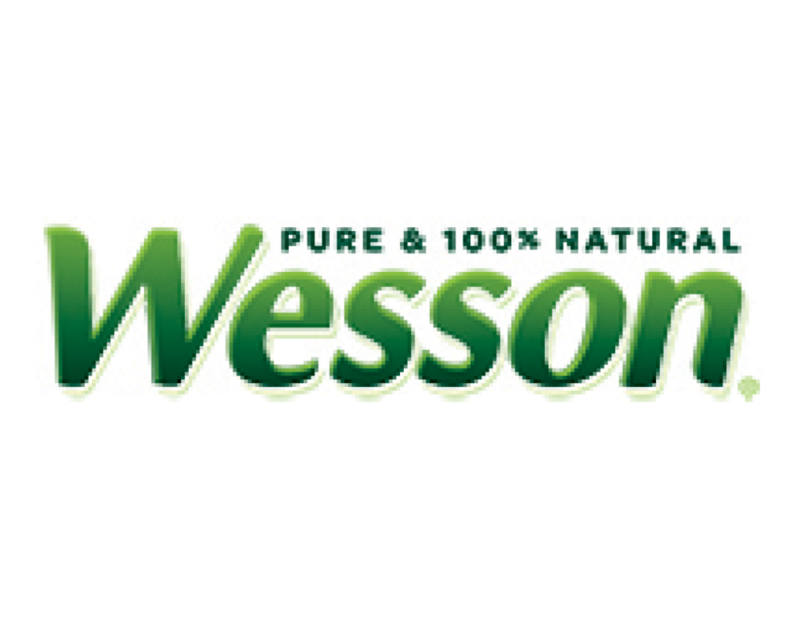 Wesson lets the natural taste of foods shine through - from crispy fried foods to healthy salad dressings, baked goods and beyond. All are naturally cholesterol-free, and contain no trans fat or preservatives. Fifty-50 is a brand that is focused on Low Glycemic products to help people with diabetes manage their blood glucose levels. 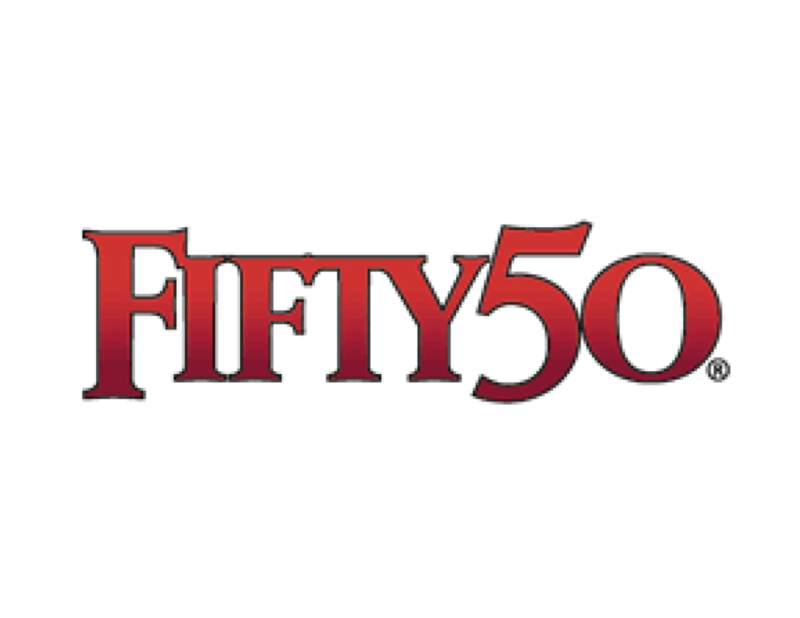 By carefully formulating products with great taste and ingredients that minimize impact on blood sugar, Fifty-50 creates a winning combination that's topped off by the company's donation of half its profits to diabetes research. 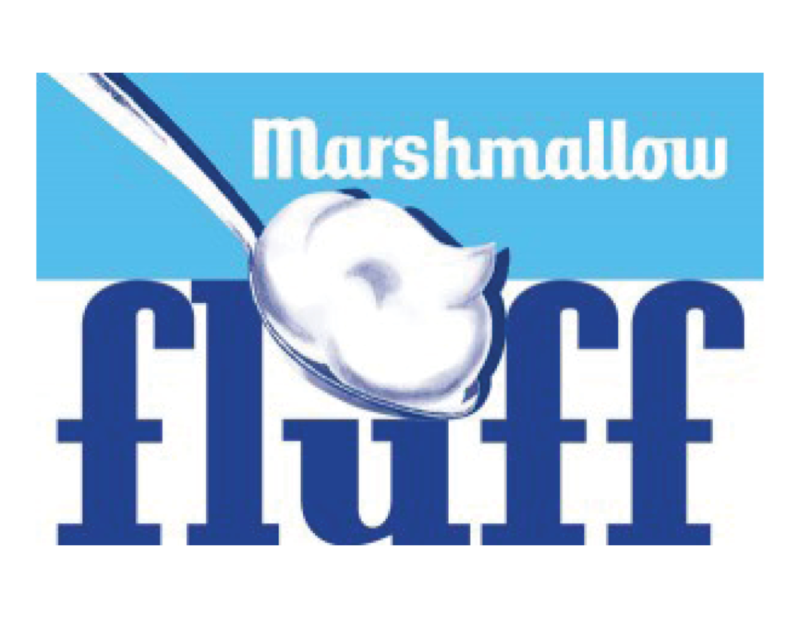 Marshmallow Fluff is a traditional American confectionery that is very sweet, spreadable, and made from whipping marshmallows into a creme. Most popular uses are with peanut butter to create a Fluffernutter sandwich or spread on a graham cracker with Nutella emulating S'mores. Available in Vanilla & Strawberry. Classic Tomato Sauce - Classic Italian blend of tomato, onion, garlic, imported Pecorino Romano cheese and select spices. Meat Sauce - Another classic, this satisfying recipe combines our traditional pasta sauce with beef for a rich, well-rounded taste. Cheese Sauce - Loaded with imported Italian cheese this Francesco Rinaldi range combines imported Pecorino Romano, Ricotta, and Parmesan cheeses with the sweetest and ripest tomatoes for a smooth and rich flavor. Tomato & Herb Sauce - This chunky garden style recipe features the finest tomatoes, garlic, onion, imported extra virgin olive oil, and other Italian seasonings. Vegetable Sauce - This sauce is a true cornucopia of the finest vegetables from the gardens; including ripe tomatoes, onion, celery, zucchini, carrots, green bell peppers and mushrooms. With all of these vegetables plus, just the right touch of Italian seasonings, it is a delicious and nutritious way to enjoy meals. Alfredo Sauce - Our authentic traditional recipe - perfect for what Alfredo Sauce is known for- fettuccine. Fortified & No Salt Sauce - Ideal for restricted diets, this red sauce doesn't restrict the taste. Juicy tomatoes and a variety of Italian seasonings give it a satisfying appeal. Pizza Sauce - Our Pizza Sauce offers the perfect balance of sweet tomato flavor and Italian seasonings that the entire family will love! Whether it's homemade pizza or a calzone, our delicious sauce will keep everyone wanting more. Hershey's Baking Chips - Bring out the best in your cookies, brownies, and all other homemade treats with a variety of flavors. Hershey's Cookies 'n' Creme - A unique twist on a classic with cookies in every bite. Hershey's Milk Chocolate - Pure & Simple. Nothing can take the place of this classic. Hershey's Syrups - The perfect way to add a splash of delicious flavor to milk, ice cream, or any other sweet treats! 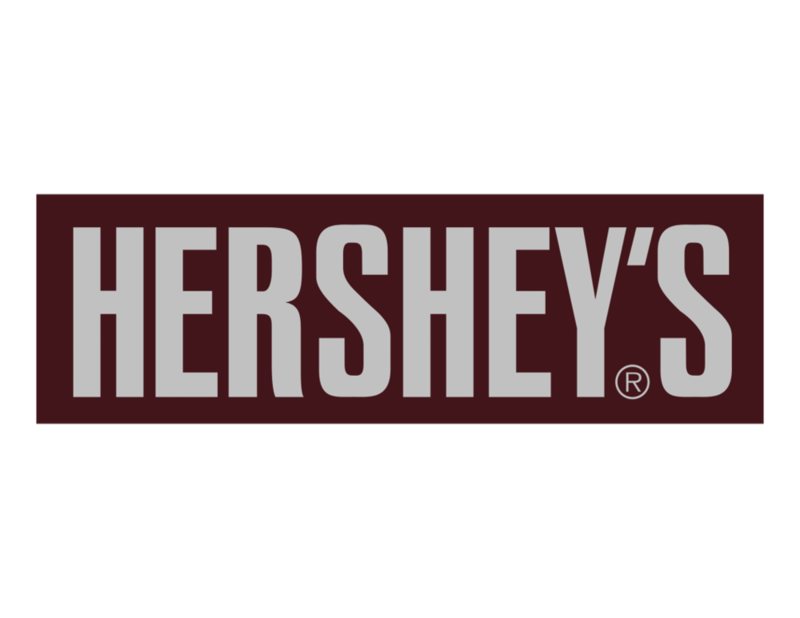 Hershey's Toppings - Say goodbye to boring desserts. Have some fun with a variety of flavors that pour like a syrup and then transforms your ice cream into a delicious crunchy treat. Ice Breakers Mints - Refresh your mouth with Ice Breakers Mints! These smooth, crisp mints are the only mints with flavor crystals, so you can actually see the great taste! 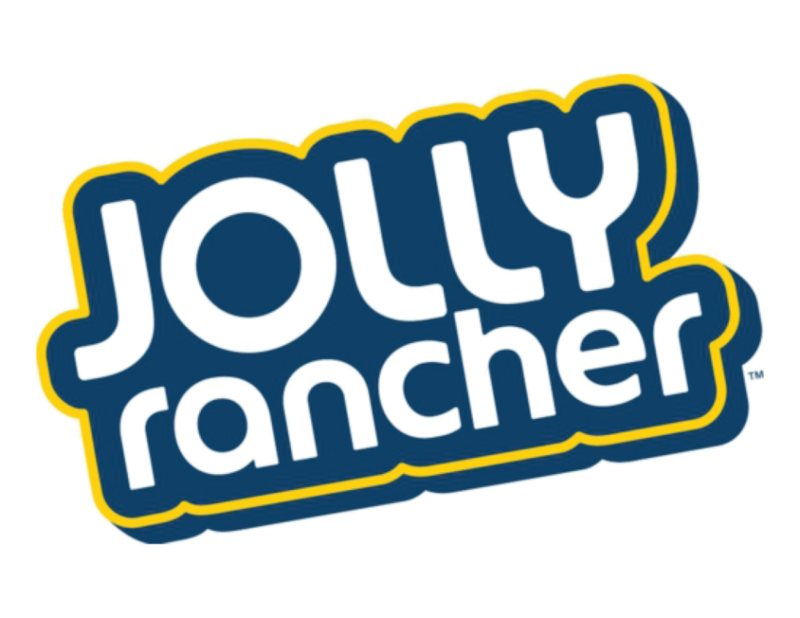 Jolly Rancher - Bursting with a bold fruit flavor that will wake up your sleeping taste buds. 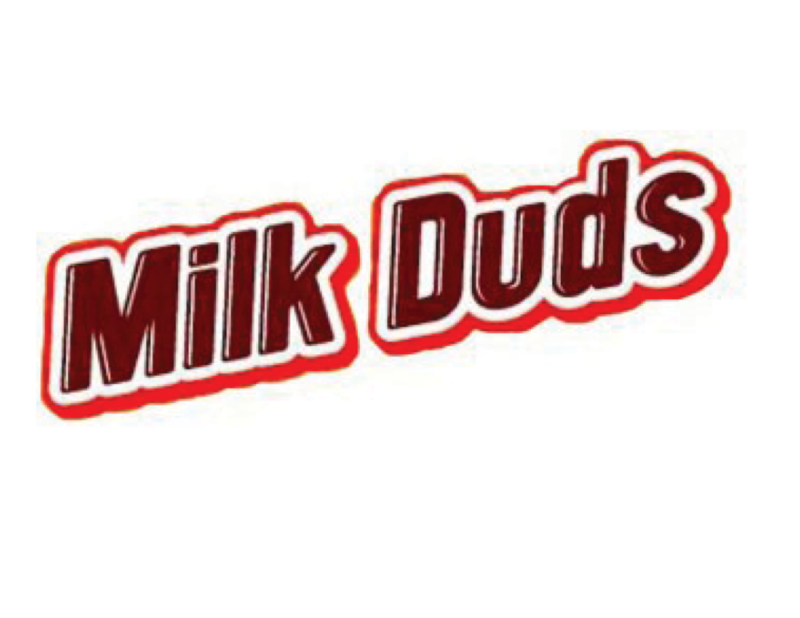 Milk Duds - Bite size chocolate covered caramels, making it a perfect snack for a night at the movies or anytime! 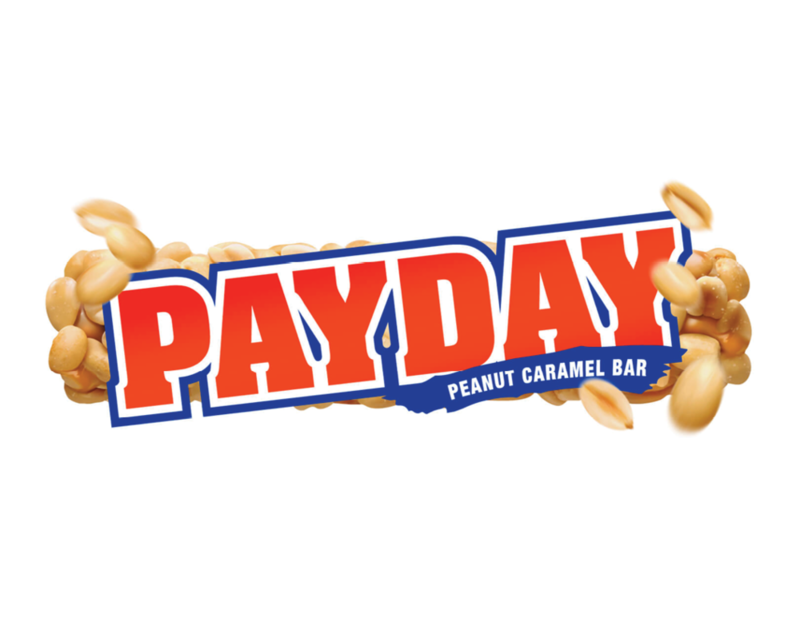 Payday - Sweet combination of peanuts and caramel. Reese's - Nothing goes together better than creamy milk chocolate and Reese's peanut butter. York Peppermint Pattie - Get the sensation with the delicious combination of cool, refreshing peppermint and rich dark chocolate. Skippy peanut butter has been known for over 50 years as the less sticky and longer-lasting option when it comes to peanut butter. To this day, Skippy remains the choice for peanut butter lovers, filling lunch boxes, picnic baskets and kitchen tables everywhere. Hot Tamales - Spicy and intense cinnamon flavored candy. Peanut Chews - Delicious chewy, chocolatey, bite-sized pieces loaded with crunchy roasted peanuts. A1 Steak Sauce - Bring out the flavors of your steak with the addition of A1 Steak Sauce. This tangy, delicious sauce is designed with specially selected ingredients to complement beef. Served in 9 out of 10 steakhouses in America. Add it to your marinades for an even more mouthwatering experience. Bull's Eye BBQ Sauces - Enhance the taste of red meat, chicken, and seafood with a rich combination of smoky and sweet flavors. Jell-O Mix - If it is pudding or gelatin, Jell-O is guaranteed to pack big taste in a small box. Kool-Aid Drink Mix - Makes for a sweet and refreshing beverage. Simply add water and mix. Kraft BBQ Sauces - Slow simmered with real sugar and no high fructose corn syrup. Kraft Macaroni & Cheese - With our iconic cheesy flavor and classic macaroni shape, Kraft Macaroni & Cheese is full of the taste you love. And now it has no artificial flavors preservatives or dyes. Planters - Variety is the spice of life. 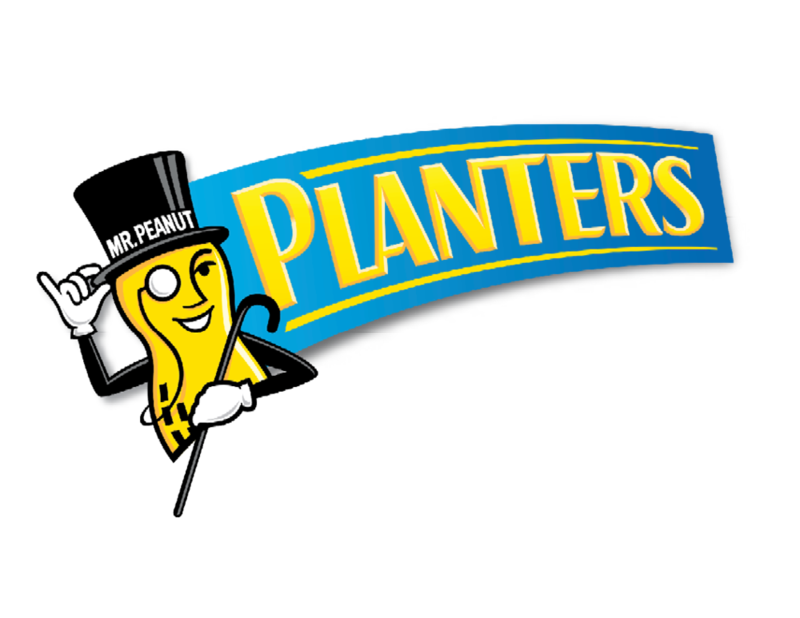 Whether you're in the mood for a simple snack, some delicious flavor, or some nutritious fuel, Planters has you covered. Little Becky marshmallows are a true American tradition. Our marshmallows are light and have that unique flavor making American-style marshmallows distinctly different than marshmallows made elsewhere in the world. 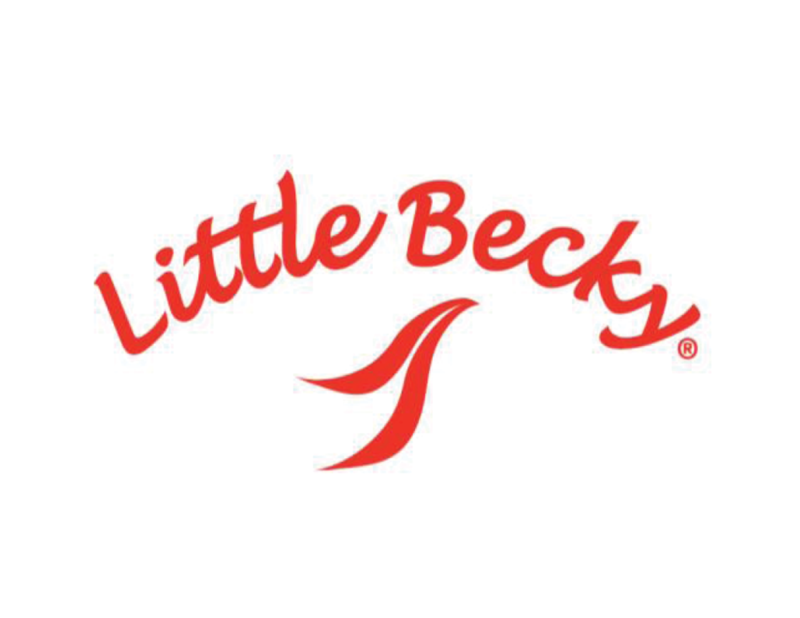 Little Becky is the #2 American marshmallow sold outside of the United States and comes in a variety of sizes and colors. The classic American tradition when it comes to marshmallows is to roast over a campfire, bbq, or stove. There is nothing like a classic American marshmallow with the outside toasted golden brown. These soft, fluffy treats can be enjoyed in hot drinks, baking recipes, or as a delicious snack straight out of the bag. Do not forget about our newest product under the Little Becky brand, Marshmallow Creme. Now consumers will be able to enjoy the sweet taste of Little Becky Marshmallows on treats, bakery products, and sandwiches! Chatham Village Croutons are made from quality French bread, which is cut into tasty morsels. Then the croutons are seasoned with a special blend of spices and baked gently to create a delightful combination of flavor and crunch. Add that extra punch to your salad or soup. The Mississippi River has a path filled with rich history, heritage and culture of America's heartland. The cruise along the Mississippi River is a 4,000 km trip of unique culinary discoveries through 10 highly agricultural rich states that have greatly influenced how America eats. The S.S. Mississippi Belle is a historic steamboat that has cruised the Mississippi River for over five decades serving all the major ports along the way. We are now retracing this wonderful journey to bring to you the best that the heart of America has to offer. Many of the Mississippi Belle products are inspired from the original recipes commonly used by the first colonies. They are natural and wholesome and easy to prepare. They are very versatile, allowing home cooks around the world to be creative in their adaptation. Mississippi Belle is your discovery ticket to the heartland of America. Baby Ruth - Baby Ruth is a leading confectionery brand that satisfies your desire for a hearty candy bar with great American taste. So when you're ready for a real candy bar, nothing works like the nutty, chewy taste of a Baby Ruth. Butterfinger - A one-of-a-kind candy bar with the crispety, crunchety, peanut-buttery taste people love. For more than 80 years, no other candy bar has come close to the intense flavor and texture of a Butterfinger candy bar. Coffee-Mate - The perfect partner to coffee. A non-dairy creamer that is lactose and cholesterol free and makes your coffee richer, smoother and creamier. Coffee-Mate makes your cup of coffee taste great. Simply stir and enjoy. Nestle Toll House- A brand that America trusts, Nestle Toll House has provided the best-tasting chocolate chips for over 50 years. Consistently delivering high quality, Nestle Toll House has ensured warm and enjoyable moments for families across America. Wonka - Wonka brand opened its doors in 1983. 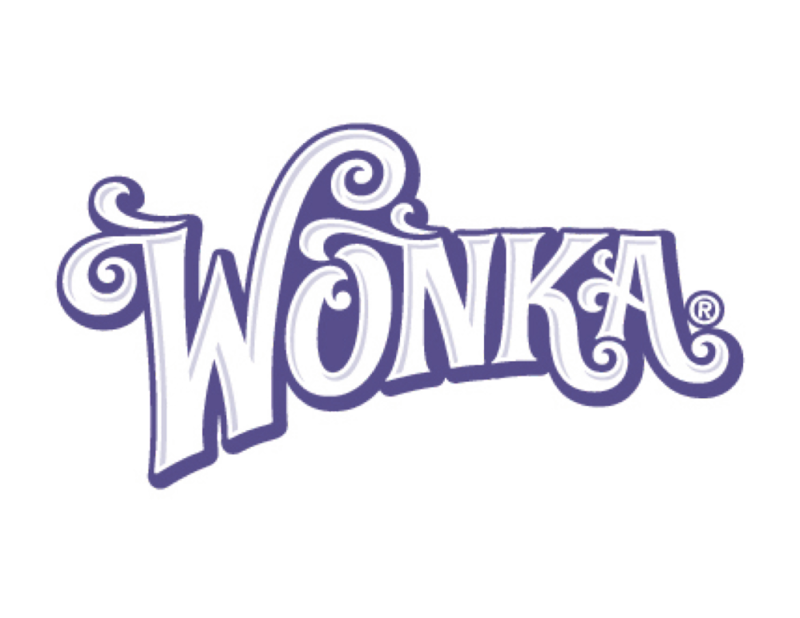 Since that time, the Wonka brand has been dedicated to the art of producing fun, innovative, high-quality confections for candy lovers of all ages. Duncan Hines Baking Mixes & Frostings - Making it easy for passionate bakers of all skill levels to create delicious and inspirational desserts. 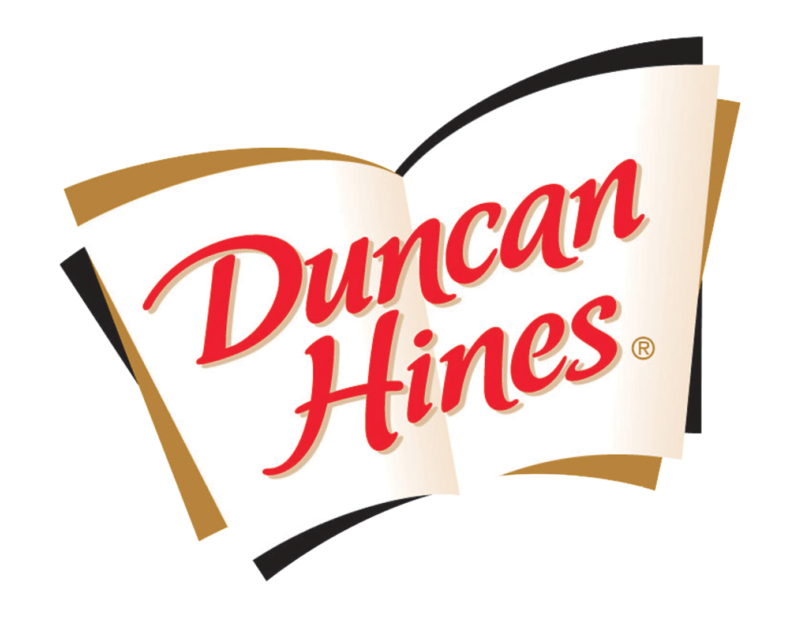 Duncan Hines stands for superiority in delectable desserts. Vlasic - America's favorite pickle for decades, Vlasic adds a delicious zesty crunch to your meal or snack. Wish-Bone Salad Dressings - Today, Wish-Bone is the #1 Italian dressing nationwide and the brand delights consumers with a great variety of dressings and marinades. Wish-Bone offers salad lovers dozens of dressings, most recently adding bold-tasting dressings to it portfolio. The PriceRite store differentiates itself from its competitors by saving its customers up to 50% off their everyday grocery bills. By delivering a blend of variety, price, quality, products and freshness at incredibly low prices, PriceRite's targeted approach has earned it a following among a growing niche of price-conscious consumers. PriceRite's mission remains the same - to offer customers impossibly, inconceivably, incredibly low grocery prices everyday in a clean, fresh and friendly environment. DaVinci - Taste the DaVinci difference and bring the experience of genuine Italian flavor and texture to your family dinners. Always prepared with the finest traditional ingredients. Always created with you in mind. Invite us into your kitchen today and rediscover a passion for authentic Italian Cooking. El Rio - El Rio takes you south of the border for a taste of flavorful Mexican cuisine! With an extensive line of all sauces, peppers, seasonings, beans and shells, you'll find everything you need for a simple snack or a true Mexican fiesta! Reese Specialty Foods - America's most trusted name in gourmet specialty ingredients for almost a century, every product must meet unrelenting standards for taste, quality and affordability. Ingredient Categories: Artichokes, Capers, Cooking Wines & Vinegar, Horseradish, Maraschino Cherries & Fruits, Olives, Seafood. Ty Ling - Offering an array of Asian products, resulting in authentic Asian cooking made easy. With a complete line of sauces, oils, noodles, vegetables, and a wide range of other specialties; Ty Ling provides everything you need to create an Asian culinary treat! Ty Ling high quality products are made with all natural ingredients. So remember, for today's busy lifestyles, Ty Ling always gives you delicious Asian flavor naturally, with ready-to-use convenience! Pretzel Crisps - We reinvented the pretzel to create a wholesome, healthy and versatile alternative to snacking. Pretzel Crisps have been a modern twist on an old favorite. They combine the best part of the pretzel - all the flavor and crunch - but lighter, crispier and more versatile than ever before. Snyder's of Hanover - From our humble beginnings to our position today as the leader of the pretzel industry and a major player in the snack food industry, we take pride in being America's favorite pretzel. For us the success of Stonewall Kitchen is more than just a reflection of our talents and resourcefulness as cooks and gardeners. It is heart and passion; a culmination of everything we do, and everything our employees have put into making our story a success. We have a passion for food, and our products are created to be feasts for the eyes and the palate. They are true tributes to our native New England agriculture. Fresh ingredients of the highest quality are all we use in our innovative and delicious recipes.. simple, good food beautifully package and bursting with true flavor. From a small, sturggling cooperative with eight members - all owners of their own grocery stores - Wakefern Food Corp., the merchandising and distributing arm for ShopRite, has grown into the largest retailer-owned cooperative in the United States and the largest employer in New Jersey. The cooperative is comprised of 45 memebrs who indivudally own and operate supermarkets under the ShopRite banner. Today, Wakefern and Shoprite togetehr employ more than 50,000 people throughout New Jersey, New York, Conneticut, Pennsylvania, Delaware, and Maryland. All ShopRite owners are members of Wakefern Food Corp., which buys, warehouses and transports products while providing other support services. "Volume" buying enables ShopRite stores to offer their consumers the lowest overall prices, and the greatest value, in the marketplace. The Daily Crave was launched in May 2012 with a vision of creating delicious, better-for-you snacks. Our immediate success, reaffirmed our belief that consumers are looking for more wholesome alternatives in snacking. In addition to their veggie sticks & chips, a new line of ancient series snack line with four flavors made predominately from lentils have are truly unique. These tasty, crunchy, and dippable Lentil Chips provide 3-4 g of protein per serving and are lower in fat and calories. Proving to be another delicious hit, the company's tremendous growth has spurred us to continue our quest to deliver snacks that allow you to give in to your cravings. Ben & Jerry's Ice Cream - An unconventional and quirky ice cream, with fun flavor names. Hellmann's Mayonnaise - The #1 mayonnaise brand in the world. White Rock Seltzers - Today's active, healthy lifestyle demands the naturally flavored, clean, crisp taste of White Rock Seltzers. With no calories and no sodium, these Kosher-certified beverages use only triple-filtered water to deliver a deliciously refreshing taste that everyone will love. White Rock Mixers - Whatever the occasion, every party needs a mixer. White Rock delivers the best in the business with its famous Club Soda, Ginger Ale, and Tonic Water mixes. White Rock uses only the finest ingredients: only real ginger for Ginger Ale, no sodium for Club Soda, and only pure cane sugar for our Tonic Water and Ginger Ale. And, there is no aspartame in our Diet Ginger Ale or Diet tonic Water. Variety and value are just as important to White Rock as great taste - and have been for almost 150 years. 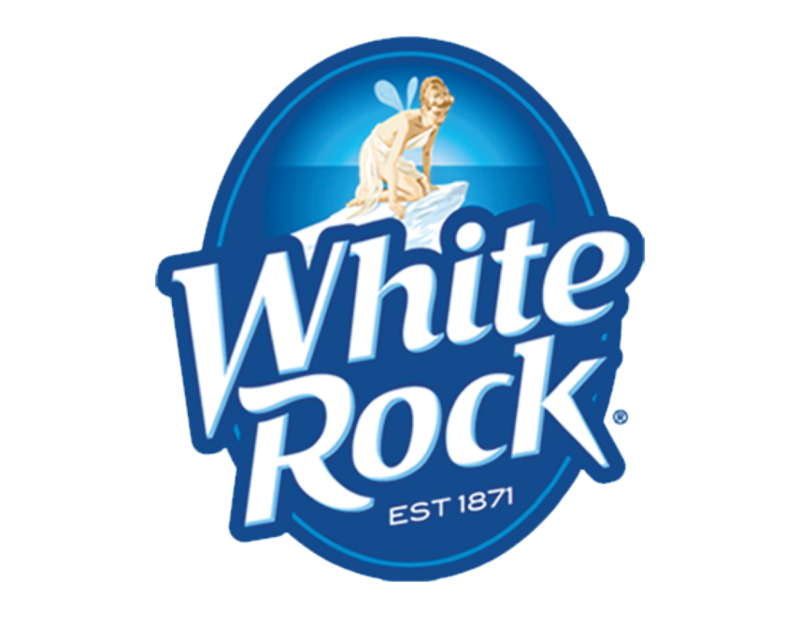 White Rock Soda - White Rock's lineup of flavored sodas is second to none, in taste, value and just pure fun. Our delicious diet drinks are made with SPLENDA, the no-calorie sweetener. Plus, we have fruit flavors, mixers, teas, ginger ales and more - and all in a bevy of packages and sizes to meet any taste or craving.